I really am a fan of Gmail. The way you can setup multiple accounts to work through one is an incredible time saver and organizational tool. 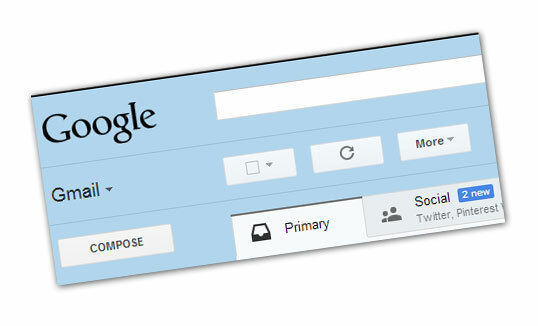 It recently just became even better through the addition of inbox organizing tabs. I do receive a fair amount of “junk” mail but there is much of it that I want to continue receiving rather than unsubscribe. The new Gmail tabbed inbox tools do an incredible job of sorting my mail so that I still get it, but don’t have to be bogged down with it. I must confess that I never clean out my inbox. With the number of emails I receive it would be quite a chore to keep up with so the tabbed inbox organization is near-genius in my opinion. As you can see in the tabs, promotional and social network notification emails are neatly tucked away so that I can review them if I have time for that day or just ignore them if I don’t. I have included picture examples of the three simple steps for you to enable this feature if you are interested as well. Happy emailing! Step 1 – click the gear icon on the right-hand side of the screen. 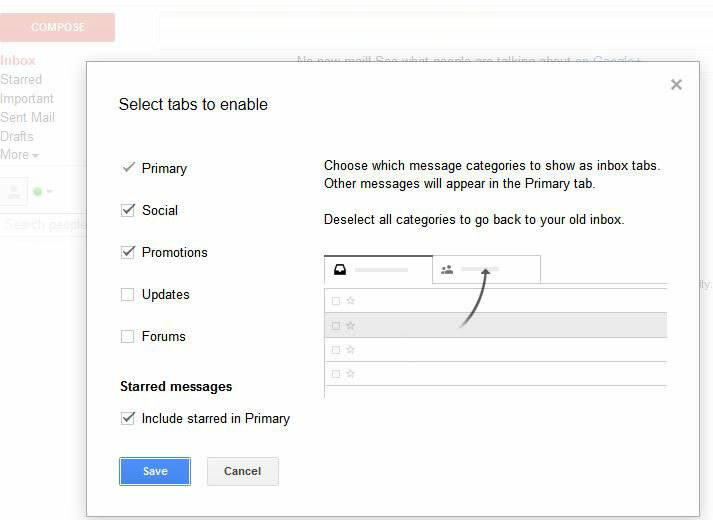 Step 2 – Choose the “Configure inbox” option. Step 3 – Choose the tabs that you would like to enable. Simple as that. Your life now can be consumed with other things than reading pointless emails! Getting the Most out of the New Gmail Tabbed Inbox Overall rating: 5 out of 5 based on 6 reviews.